The deep roots of our Christian tradition may offer just such a path. For centuries, monastic communities have shaped their lives around rhythms and disciplines for following Jesus together. Such a pattern is known as a "Rule of Life." 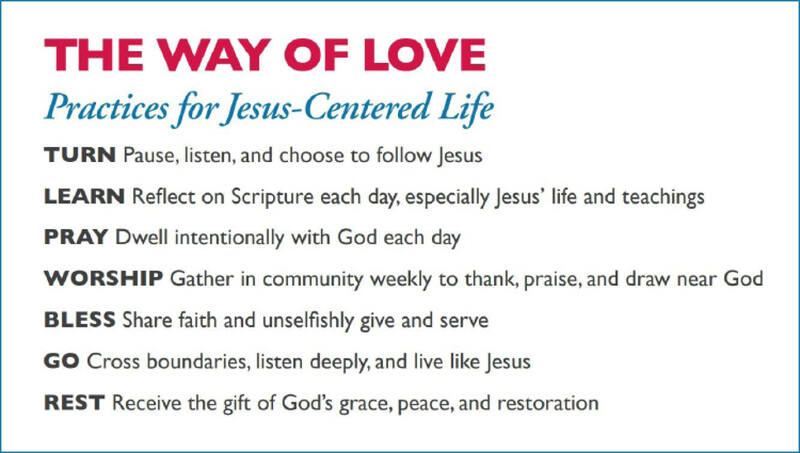 The framework you now hold - The Way of Love: Practices for Jesus-Centered Life - outlines a Rule for the Episcopal branch of the Jesus Movement. 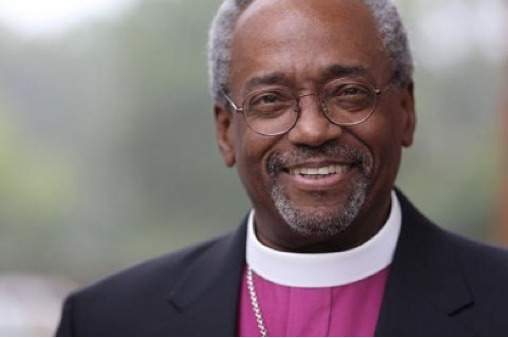 Presiding Bishop Michael B. Curry calls us to The Way of Love: Practices for a Jesus-Centered Life. Click each of the seven steps to find Forward Movement resources to help you create your own spiritual practices. 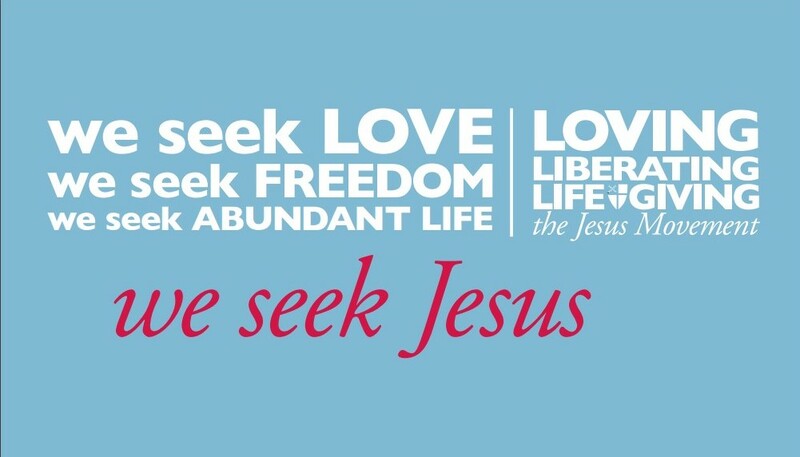 The Way of Love resources are now available on our website! Like the disciples, we are called by Jesus to follow the Way of Love. With God's help, we can turn from the powers of sin, hatred, fear, injustice, and oppression toward the way of truth, love, hope, justice, and freedom. 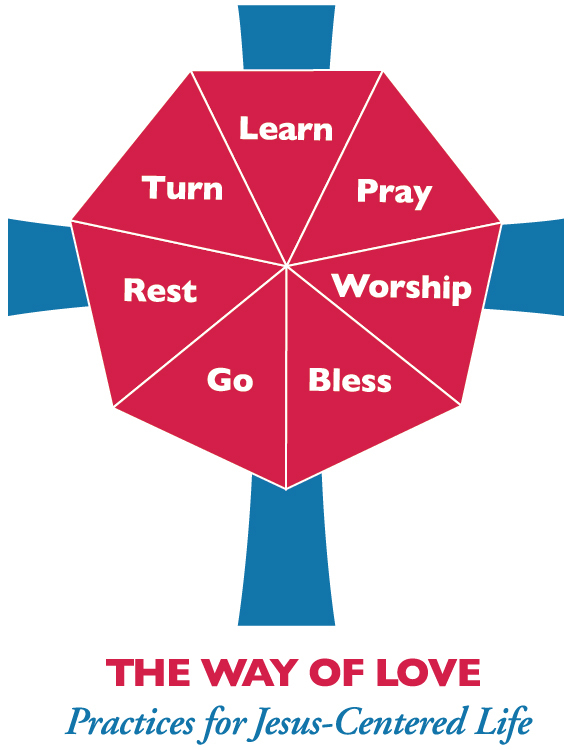 In turning, we reorient our lives to Jesus Christ, falling in love again, again, and again. - What practices help you to turn again and again to Jesus Christ and the Way of Love? - How will (or do) you incorporate these practices into your rhythm of life? - Who will be your companion as you turn toward Jesus Christ? LEARN: Reflect on Scripture each day, especially on Jesus' life and teachings. - What ways of reflecting on Scripture are most life-giving for you? - When will (or do) you set aside time to read and reflect on Scripture in your day? - With whom will you share in the commitment to read and reflect on Scripture? Jesus teaches us to come before God with humble hearts, boldly offering our thanksgivings and concerns to God or simply listening for God's voice in our lives and in the world. Whether in thought, word or deed, individually or corporately, when we pray we invite and dwell in God's loving presence. - What intentional prayer practices center you in God's presence, so you can hear, speak, or simply dwell with God? - How will (or do) you incorporate intentional prayer into your daily life? - With whom will you share in the commitment to pray? - What communal worship practices move you to encounter God and knit you into the body of Christ? - How will (or do) you commit to regularly worship? - With whom will you share the commitment to worship this week? - What are the ways the Spirit is calling you to bless others? - How will (or does) blessing others - through sharing your resources, faith, and story - become part of your daily life? - Who will join you in committing to the practice of blessing others? - To what new places or communities is the Spirit sending you to witness to the love, justice, and truth of God? - How will you build into your life a commitment to cross boundaries, listen carefully, and take part in healing and reconciling what is broken in this world? - With whom will you share in the commitment to go forth as a reconciler and healer? 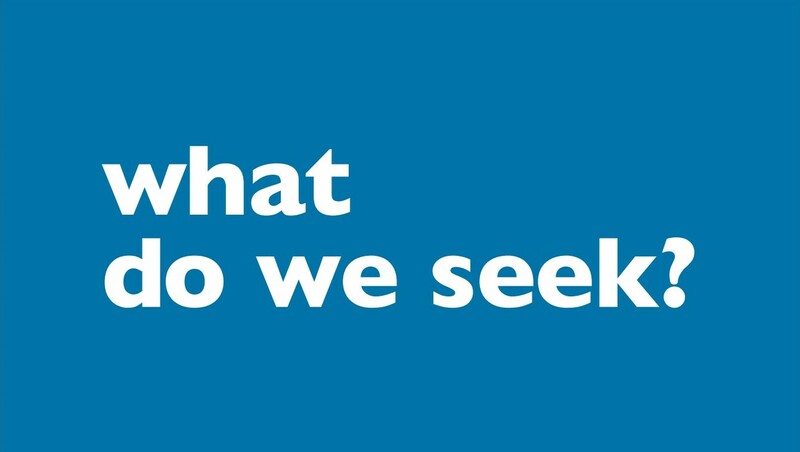 - What practices restore your body, mind, and soul? - How will you observe rest and renewal on a regular basis? - With whom will you commit to create and maintain a regular practice of rest?